It seems we completely missed the fact that Aerofly FS 2 Flight Simulator [Steam, Official Site] is coming to Linux and the developer asked for testers. 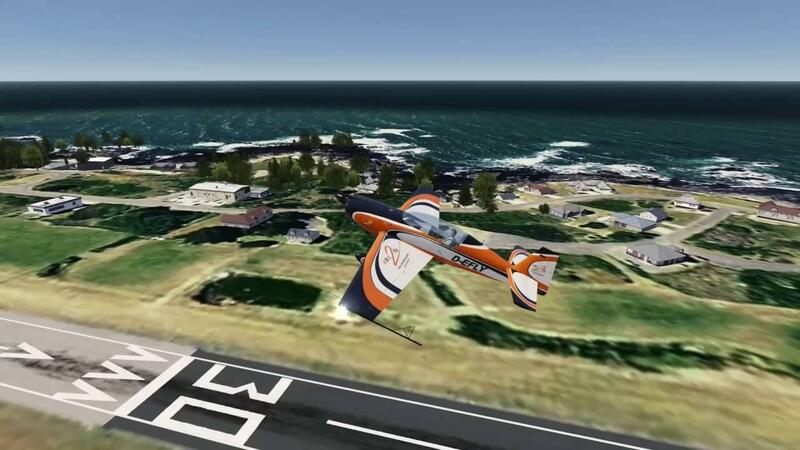 We are currently looking for a couple of dedicated users that can test a new upcoming Linux version of Aerofly FS2. Please note that we are only looking for possibly two users that have a good understanding of the Linux operating system and are willing to put in some time to properly test a release candidate build of Aerofly FS2 for Linux. Testing will begin in around two weeks. Obviously two weeks has long passed and they only got one single reply, likely as no one actually noticed they posted this. Might be worth letting them know you're interested, hopefully they haven't seen the lack of replies as a lack of interest. Take your seat in the cockpit and enjoy flying over the famous Golden Gate Bridge or visit Alcatraz Island. Learn the basics of flying at our flight school or jump right into the captain's seat and land the majestic 747 at one of the busiest airports of the world. Thanks for the tip SuperTux! Note that according to french video gaming magazine Canard PC (n° 343) Aerofly FS 2 (at least in its state in mid 2016) is a poor flying simulator, far inferior to X-Plane 11 (edit : also available on Linux) which is only a bit more expensive (65 € against 60 €, at least here in France). riusma Note that according to french video gaming magazine Canard PC (n° 343) Aerofly FS 2 (at least in its state in mid 2016) is a poor flying simulator, far inferior to X-Plane 11 (edit : available on Linux) which is only a bit more expensive (65 € against 60 €, at least here in France). I guess they should have stuck with their RC flying sim. I still use earofly 5 under wine. I wish THAT would get a linux update, I would buy that! As I understand it, the Aerofly series is an arcade game that focuses on pretty scenery. At least in the french version of Aerofly FS 2 presentation on Steam the game is advertised as a "last gen flying simulator with emphasis on realistic flying physic". I really hope that one day the DSC World will be ported to Linux. In any case, they have a plan to switch to Vulcan API. I've heard it needs a lot of work to become a full flight simulator like X-Plane. It's currently between a RC and a Flight Sim. Anyway looks nice and bring it on. kido I really hope that one day the DSC World will be ported to Linux. In any case, they have a plan to switch to Vulcan API. BTW drm's in this game are handled by Starforce if I remember correctly, starfoce doesn't work with linux. The site survives on users giving news to the editors too, so if you see something drop a line . Its hard, in a good way, to keep up with everything. "We here at IPACS embrace variety so we want to insure that whether you are a dedicated PC, Mac, mobile, or even Linux user, we have you covered. We want everyone to experience what we are building with Aerofly." sigz BTW drm's in this game are handled by Starforce if I remember correctly, starfoce doesn't work with linux. At the moment, they are moving away from starfors protection.